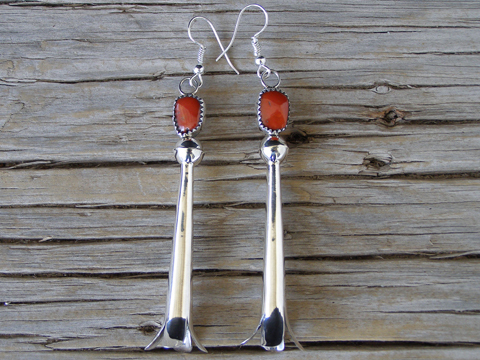 Navajo silversmith Doris Smallcanyon made these squash blossom earrings which are set with Mediterranean red coral above the long blossoms. These long squash blossom earrings swing freely from the Sterling hooks. Red coral: 7/16" x 5/16"